Thanks to Energizer I got to review the 15 minute charger and also the Easy battery charger kit. I was so excited about the 15 minute charger for those times when I need them ready to go fast! I also love that it comes with a car charger! Awesome! The Easy battery charger kit is great too! I love how you can change the colors to the covers and make it match whatever room you want to put it in! 2AA/2AAA NiMH Batteries are included. Includes: One Charger and 2 AA 2200 mAh NiMH and 2 AAA 2200 mAh NiMH Batteries are included. Lasts up to 4x longer in digital cameras. 15-Minute Charger Features: Safety - Microprocessor control; Bad battery detection; Surge protection; Short circuit protection; Overcharge protection; Temperature control; Timer control. Convenience - Batteries ready for use in 15 minutes; AA/AAA Charging; Automatically detects AA or AAA battery; Individual cell channel charging; Maintenance charge; Charge status indicator. About Rechargeable Batteries: The higher the mAh rating, the more you get out of your device. High drain devices need higher mAh batteries. Lower mAh capacity is sufficient in low drain devices. The mission of Energizer Holdings, Inc. (ENR) is to provide consumers with solutions to their portable power and personal care needs better than anyone else, and in a manner that rewards all stakeholders: consumers, customers, colleagues and shareholders. Provide consumers with products that deliver unsurpassed performance. Deliver category expertise and best-in-class solutions and programs to our customers to help grow their businesses. Be recognized by stakeholders as an outstanding organization to work for, invest in and buy from. Team-driven: Colleagues communicate well, problem solve together and respect each other. Participatory: Decisions are made by colleagues closest to the action with direction, resources, training and honest feedback from management. Ethical: Our culture is open, honest and respects the laws and regulations of the societies we operate within. Passionate: We love what we do and have fun doing it. Now thanks to Energizer I get to give one lucky winner an Easy Battery Charger Kit and also a 15 minute charger with batteries! I love to win this for my mom! We really could use this! How cool 15 minute charge and a car charger too! I have your button on caretojoinme-giveaways.blogspot.com. I would love to win this, as we all know there's nothing like weak batteries in a camera. I posted about this on my facebook page! Battery charger would be great, epecially with the hoildays comming. This would be great to have around. my nephew needs this he wants me to buy him batteries everyday! Hiya Shauna sign me up I follow. I have your button on my blog. I would love to win this! I'm a paranormal investigator and go through tons of batteries! If I don't win this I am so buying one! We need it in our home!! We need a new charger! YEAH THIS IS GREAT IN! I will blog and also link this on my Facebook right now! Sometimes it seems everything has batteries. I know you are running around the house looking for some for your remote, camera, mouse. It is so annoying. Would love to have a battery charger. Oooooo this would be very helpful around my house. This is a great giveaway, Ms Shauna! I have a 4 year old grandson who constantly needs batteries from his Nana to keep his Trax train company running. He is the most amazing little engineer:) Almost like Mr Thomas. He lives about 1-2 miles south of you. I do follow you, but not only for your great giveaways. :-) I love the person you are. Thanks for sharing such uplifting blogs and sharing your cute button. great giveaway, would love to win this! 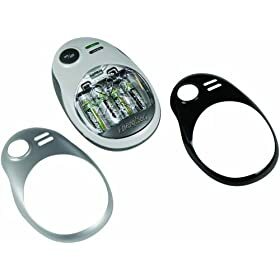 We use our rechargeable batteries all the time! This would be great to have! Thanks! Always in need of batteries. Thanks for this giveaway. This would come in handy! Thanks! Good for your camera. Saves a lot of money on batteries. i was just thinking of buying this! I am constantly buying batteries, or so it seems. Thank you for this nice giveaway and please count me in. Following with Google Friend Connect. *Thanks* for the giveaway! We use alot of batteries -- rechargeable is the way to go! We are constantly going through batteries--it would be great to have this! I'd love it. Thank you! With my photography business this would definitely come in handy!! I could really use this for my digital camera!